Bankrutpcy has serious consequences on your financial future, and can destroy your chances of receiving a loan for the next 7-10 years. Bankruptcy may not be your only option. Credit experts may be able to negotiate on your behalf to lower your monthly payment and/or interest rate. It’s always better to pay off your loans than to declare bankruptcy. Only declare bankruptcy if the assets you own are worth less than the total amount you owe. Battling with bankruptcy can be one of the most stressful periods of your life. It’s difficult to know when to declare bankruptcy, or to know what the future will hold after you make such a decision. And, to complicate things even further, there is a social stigma against declaring bankruptcy that could prevent you from making the decision that is right for you. If you’re seriously considering bankruptcy, then it’s important to first understand the consequences of such an action. Just like any major life decision, if you feel that the positives of declaring bankruptcy outweigh the negatives, then you should proceed immediately. With that in mind, let’s take a look at some of these negative impacts, as well as some of the options you should pursue before turning to bankruptcy. What Happens To My Financial Future If I Declare Bankruptcy? The consequences of declaring bankruptcy are dramatic and severe. However, some people decide that these negative effects are much more manageable than dealing with a crippling amount of debt. After declaring bankruptcy, your credit score will plummet, making it difficult – or ridiculously expensive – to take out any sort of loan. Technically, bankruptcy will disappear from your credit report within 7-10 years. However, some loan applications will ask if you have ever declared bankruptcy in the past, in which case answering in the negative would be fraud. In that sense, bankruptcy is something that sticks with you for life. Keep in mind that it is always better to pay off your debts rather than declaring bankruptcy. For that reason, it’s best to look at all of your available options before making such a drastic decision. Your creditors would rather settle a debt themselves than have it fall into bankruptcy. This gives the borrower a slight advantage. If the creditor can see that you’re already behind in payment for a few months, then they may be willing to lower your debt. If you can negotiate towards a deal the works for all parties, then you can effectively avoid bankruptcy. There are people in your community who specialize in dealing with bankruptcy. By seeking out help from a credit counsellor, you can better understand the issues you could face moving forward, and the options available to you right now. Best of all, these people will contact your creditors in order to seek lower monthly payments or a reduced interest rate. In fact, under new bankruptcy laws in the United States, anybody who is thinking about declaring bankruptcy must first talk to a credit counsellor at least six months in advance. If your assets and savings are worth more than the amount you owe, then you should not file for bankruptcy. However, keep in mind that if you have assets that are secured with a loan, like a house or a car, then filing bankruptcy could prevent you from losing these assets. Whether you’re crippled by a high medical bill or credit card debt that got out of control, declaring bankruptcy can provide you with the immediate relief that you need. Keep in mind that this decision should come before everything else in your life, and it’s important that you not delay your decision any longer than necessary. Begin to research your options as soon as possible, and soon enough, you’ll get the debt relief that you deserve. 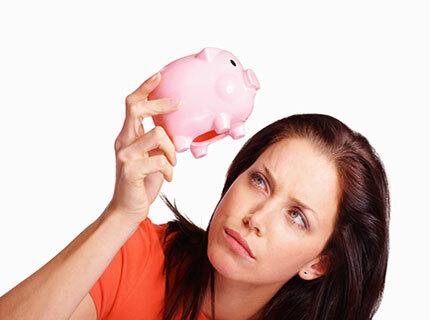 While bankruptcy should not be entered into lightly, it may prove to be the best solution for you. Get bankruptcy information delivered directly to your inbox.